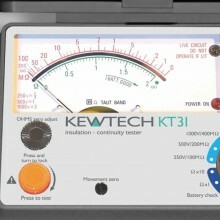 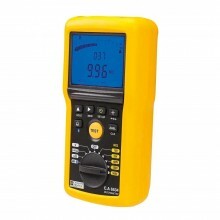 Includes: Kewtech KT31 Insulation & Continuity Tester, ACC020 Test Leads, Test Lead Pouch, Batteries, Carrying Strap, Instruction Manual, Certificate of Conformity. 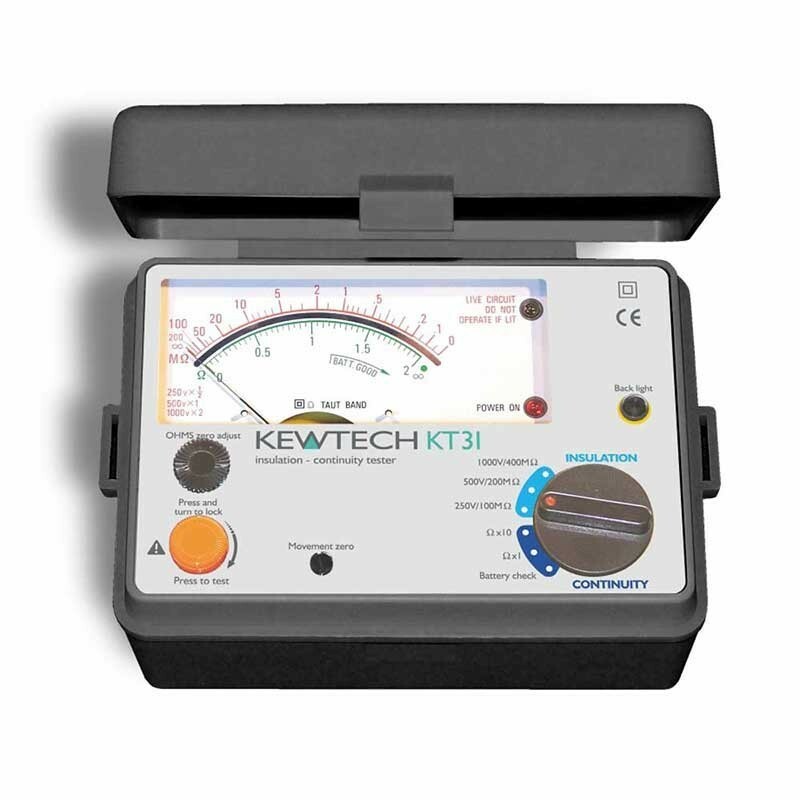 The Kewtech KT31 is a high quality analogue tester for the traditionalist who likes to see the swing of the needle. 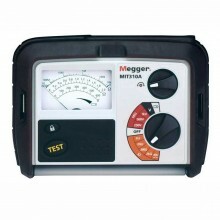 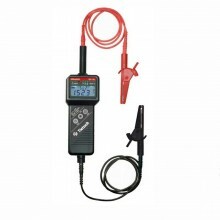 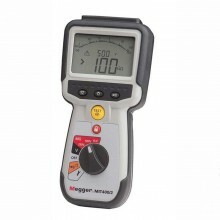 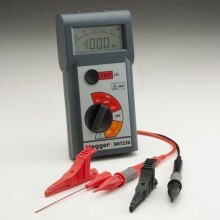 An Insulation/Continuity Tester performs two basic functions. 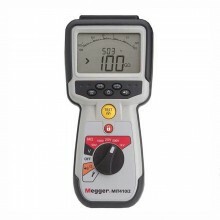 As a continuity tester the instrument can be used to measure 3 low values of resistance between two points in an electrical circuit. 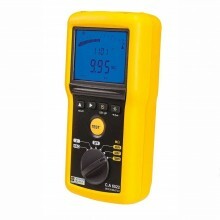 In this mode the instrument acts as a low voltage current source. 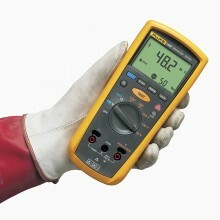 The resistance is calculated from the measurement of the voltage and the current through the conductor. 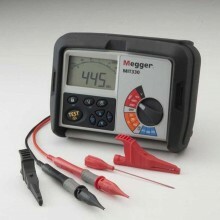 Careful connection to the circuit under test is essential to avoid measurement errors. 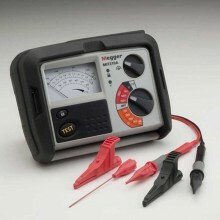 Circuits connected in parallel to the circuit under test may also effect the accuracy of the measurement. 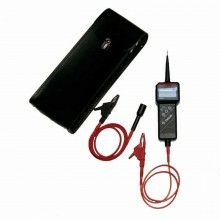 Robust new style dual purpose case housing and carrying case. 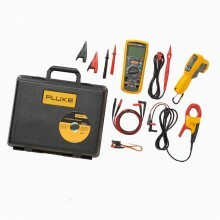 Uses only 6 X 1.5V battery type AA or equivalent. 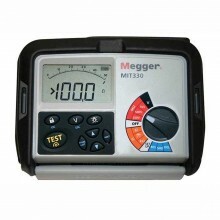 Incorporates front panel Ohms zero adjust. 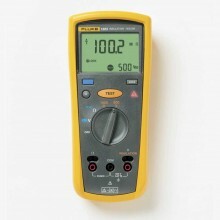 Fuse protected (continuity ranges only). 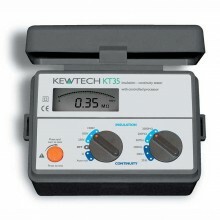 Expanded insulation and continuity scales for ease of reading. 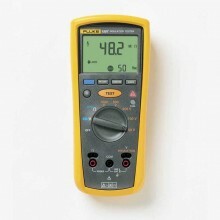 LIVE circuit audible and visual indication. 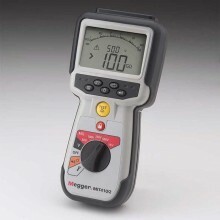 3 insulation test voltages, 2 continuity ranges. 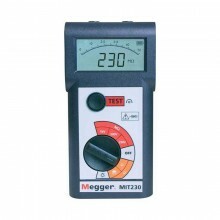 200mA test current on continuity ranges. 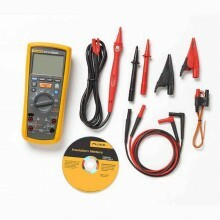 DC Test Voltage 250 V, 500 V and 1000 V.
0 - 400 MΩ (4 MΩ). 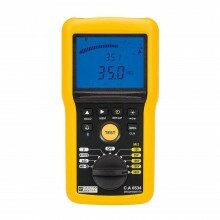 (500 V) 1 mA dc min. 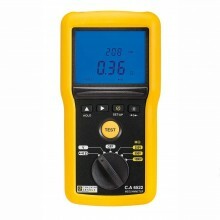 at 1 MΩ (1000 V). 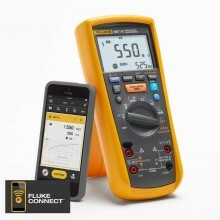 Accuracy ± 0.7% of scale length. 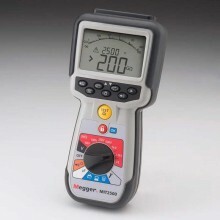 Measuring Ranges 0-2 Ω 0-20 Ω. 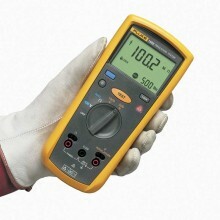 Accuracy ± 3% of scale length. 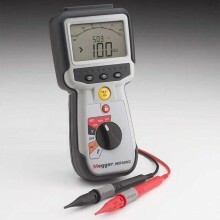 Short Circuit Current Output 200 mA min. 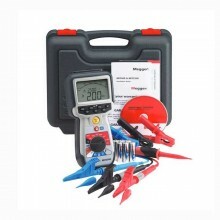 Dimensions 175 x 115 x 86 mm. 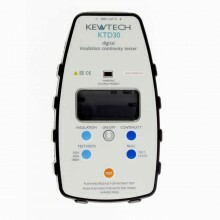 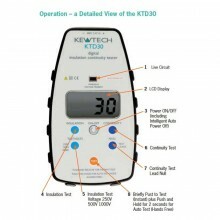 PDF Specifications of the Kewtech KT31 Analogue Insulation Tester.